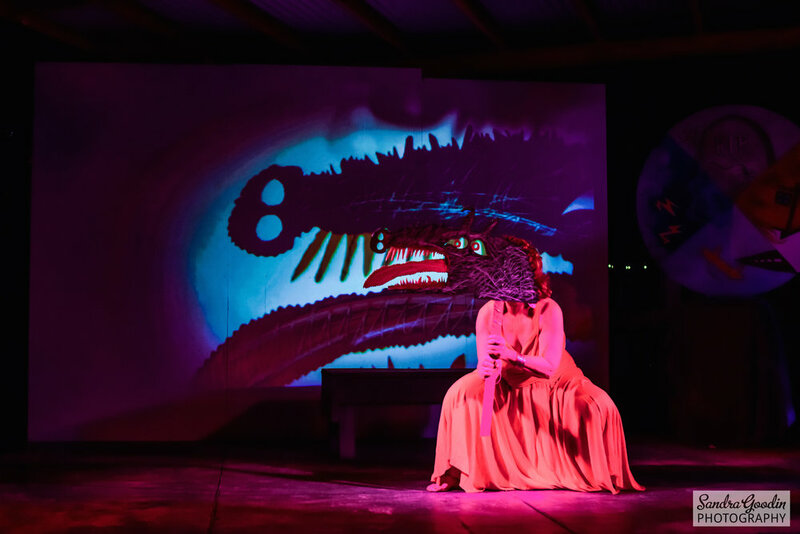 Pulling inspiration from Barnum and Brecht, Dada and Dark Cabaret, the Royal Rabble Circus creates performances that are sonically and visually enchanting, and creatively revelatory. Myshkin’s interests, musical and otherwise, run wide and wild, and her repertoire is full of tall tales and sideshows. 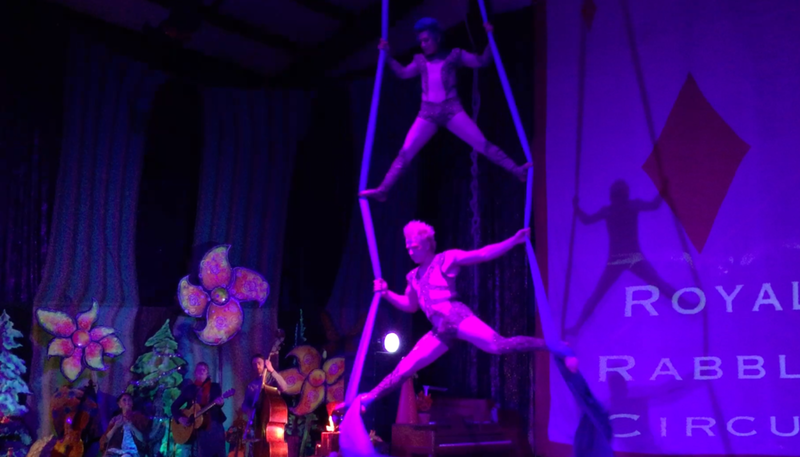 The Royal Rabble brings her most carnivalesque songs to life, illuminated by dancers and acrobats, and driven by a transcendent band. 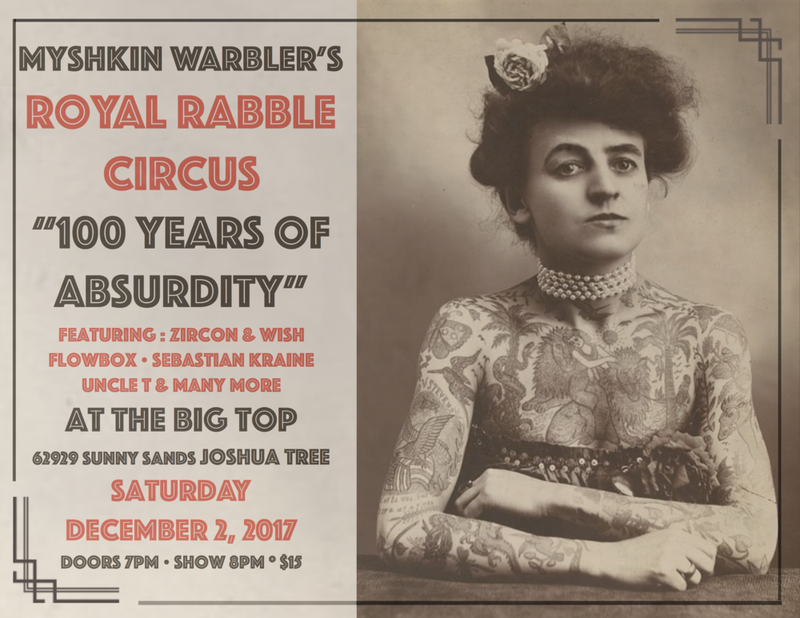 The Joshua Tree Music Festival presented the first three Royal Rabble shows (10/2016, 5/2017 and 10/2017) the last of which, 100 Years of Absurdity, was reprised in late 2017 at Zircon & Wish's JT Big Top. Many talented co-creators are involved in the Royal Rabble, the central off-stage collaborators being Celene De Miranda (stage management) Dominik Kranowski (lighting / props) and Jorge Davies (film & direction).